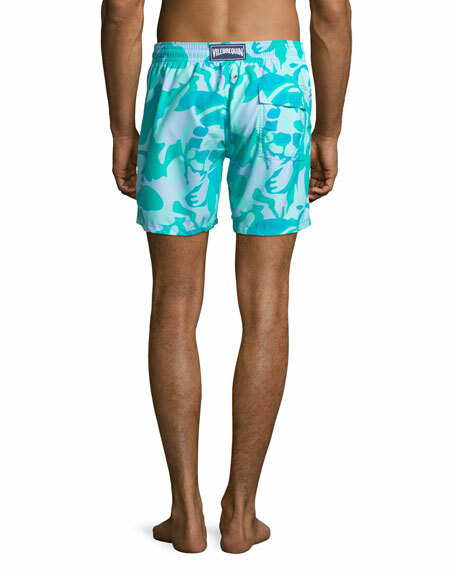 Vilebrequin swim trunks in camouflage turtles print. Side slash pockets; back flap pocket. Drawstring waist; back logo patch. 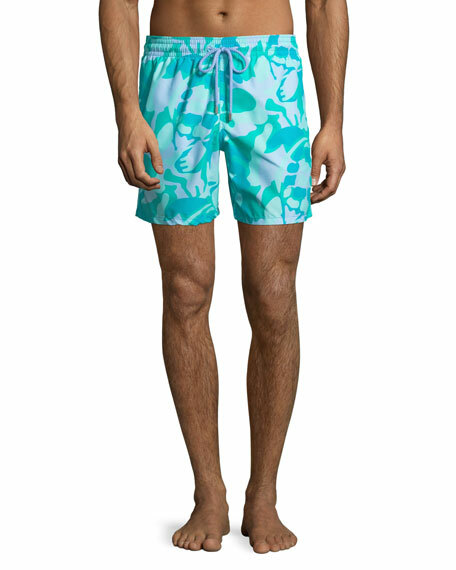 For in-store inquiries, use sku #2518830.